The Quest Model Rocket Launch Controller features a blinking LED arming safety light and an audible beeping alarm, activated when you insert the arming safety key into the unit. 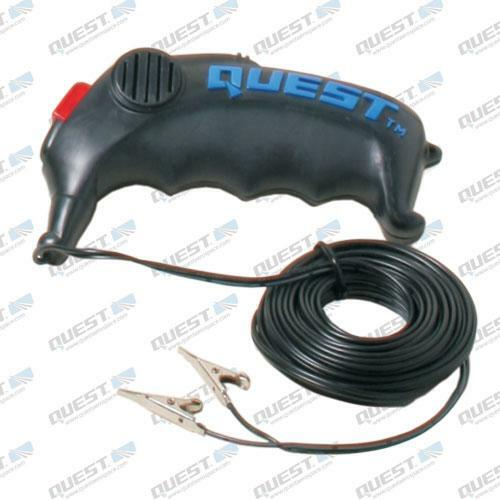 Ideally suited for use with Quest Q2G2 igniters, the devise will also fire other brands of rocket igniters. Device requires one 9v alkaline battery. Expect a fresh alkaline battery to give you about 50 launches when used with the Q2G2 igniter. By adding the X-ternal Battery Connector (EBC) for use with an external battery, you will be able to undertake continual multiple launches, ideal when you have a large group launch with more than 50 flights.